This has been my year of the book. Not just because I published both a novel and a family travel guide, but because I have fallen in love with reading all over again. I walk out of the library with armloads of books that I race home to read. I crawl into bed hours before I’m sleepy to make my way through the stack on my nightstand. I treat Gabe to books we read together at a nearby coffee house. I slowly flip through my collection of cookbooks, loving the photographs and the feel of the pages. I’m not sure what’s prompted my reading Renaissance, but I do love supporting arts in a world that can sometimes feel too harried and digitally-focused. I’m discovering that reading actual books is a pleasure, a quiet celebration. So this year’s Italy gift guide is book-centered. The advantages of giving the gift of reading to loved ones are innumerable. They are delightful to shop for if you have time to linger in a local bookshop, but they can be instantly ordered and shipped if you’d rather spend your time singing carols or lighting candles or making cookies to give to neighbors. Books make great gifts for singletons, couples, families, grandparents, and children. Plus—bonus! They are easy to wrap! They can even become a cherished part of your holiday celebration. Why not adopt Iceland’s tradition of giving books every Christmas Eve? Books are marvelous given on their own, but can be gussied up with an extra bauble to create a gift that feels downright indulgent. So think about the Italophiles on your shopping list—those that love art, food, history, language, wine, escape, or family travel. I know you’ll find something on the list to please even the trickiest person to shop for. Opt for a simple book or two, or dress it up with a thematic addition. note: the Amazon links are affiliate links, which means I get a few pennies if you purchase an item, but it doesn’t cost you anything. The non-Amazon links are non-affiliate. As a food-loving Italophile, I am here to tell you that cookbooks are my favorite present. I get one every Christmas and I spend the entire day reading it. I’m always convinced that the current incarnation will change my life, and while that hasn’t happened in the strictest sense of the word, my culinary prowess and regional food understanding is certainly better for feeding (ha!) my habit. 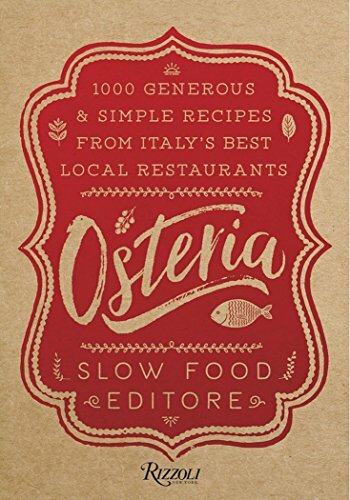 For the serious foodie, you can’t do better than Osteria, a slow food guide to Italy. The book is a revelation in regional specialties, and in reading it, I finally FINALLY learned the secret to my favorite Umbrian dish, agnello scottadito! If a cookbook can effortlessly convey how to flavor lamb chops by rubbing them with the fat from prosciutto, it’s guaranteed to unlock flavor portals to other regional treats. I should add that this book is probably best for the hard-core foodie, as it is rich in recipes and foodlore, but there are no photographs that many home chefs like to pore over. For beautiful covers suggesting the photo-packed pages within, inviting aspiring chefs to pick out a recipe and begin delving into the foodways of Italy, I recommend you begin with thinking about region. Does your loved one adore Rome? 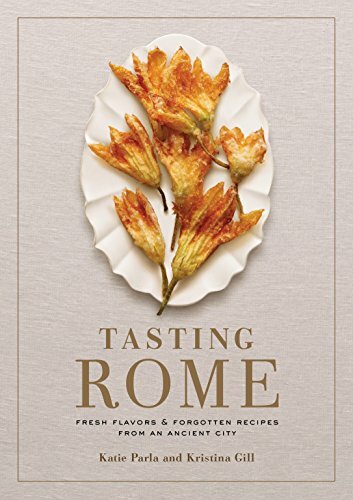 Katie Parla’s Tasting Rome is packed with authentic recipes and gorgeous photographs. If your foodie friend loves eating more than cooking, consider Elizabeth Minchilli’s Eating Rome which includes accessible recipes, but those take second chair to a friendly and vibrant ode to food culture in Rome, past and present. Tuscany-lovers enjoy Emiko Davies’ Florentine: The True Heart of Florence, a gorgeous love song to Florence, filled with stunning photographs and mouth-watering recipes. Another regional fave is Coming Home to Sicily. Lemons and seafood and off-the-beaten track treats await on the shores of Sicily and the readers of this grand cookbook. If you don’t know what region of Italy for which your intended grows misty-eyed, you can always honor their love of Italian food with a book that focuses on Italian staples such as pizza or pasta. A rolling pin to hand roll pasta (machine rolled pasta is slick, and therefore doesn’t hold onto the sauce…you can include this post I wrote on hand-rolling pasta, but for the moment, I can tell you that the standard Umbrian length for a pasta rolling pin is 30 inches and that when you roll out pasta with 3 eggs, you’ll know it’s the right thinness when the sheet of pasta is the diameter of the pin) or a gnocchi roller to make fetchingly textured gnocchi or a ravioli cutter for perfect filled pasta. Dried herbs from your own garden in charming glass bottles, or a pot of herbs to sit in a sunny spot of their kitchen (nothing like fresh herbs to recall the scents of Italy). Dried pasta in unusual shapes or flavors, like squid ink pasta or paccheri (one of our faves while in Umbria, especially with a rabbit ragù). I recently attended a wine dinner sponsored by our local Wine Guild, a wine buying cooperative. It reminded me of how seriously some people take their wine—lots of sniffing and swirling and commenting on smoke and leather. 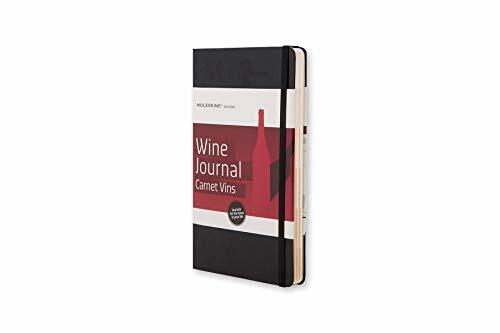 A moleskine wine journal is an elegant way for your wine-loving Italophile to keep track of wines tasted, with ribbon markers, expandable inner pockets, and tabs to divide the journal by kind of wine. a bottle of wine from a meaningful favorite region (yours or theirs). 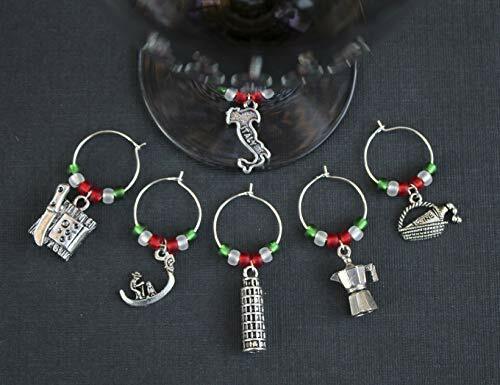 wine charms—no one can ever have too many, and why not these precious Italy-themed ones or graceful Murano glass ones for a suggestion of Venice? There is a richness to increasing one’s understanding of Italian. Just reading Italian words fills a mind with the cadence and sunshine of Italy. 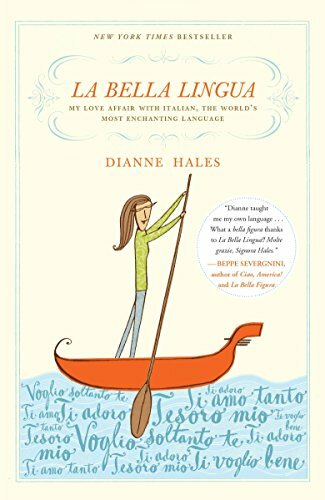 Two popular options are La Bella Lingua by Dianne Hales, which is a page-turning narrative on how the Italian language shaped the nation of Italy and In Other Words by Jhumpa Lahiri, the Pulitzer prize winning author of The Interpreter of Maladies, whose newest book tells the story of her finding her Italian voice in Rome. Active language learners may be particularly intrigued as the book is written in both English and Italian (both by the author). Italian movies are a great way to soak up the language. Check out my list of options and see what fits the bill! 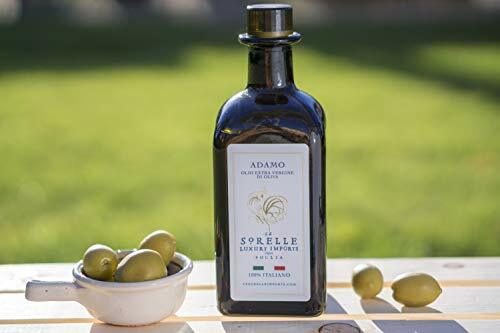 One of my favorite Italian customs is the stretching of a meal through aperitivi, a long parade of dishes, and the serving of an after dinner liquor, or digestivo, to swell the contentment even farther. The most well-known digestivi are sweet, like limoncello or vin santo. After celebrations, I’ve enjoyed small plastic tumblers filled with liquors flavored with bitter herbs and barks that are known as an amaro, or bitter. Then there are the kind that are just strong, the most commonly known one here being grappa. Grappa itself varies in sweetness. I myself prefer it piu morbida, or a little softer and sweeter. These thimblefuls of liquor are supposed to improve digestion. Do they work? Who knows? Their real joy is the satisfaction of leaning back after sumptuous meal, holding a delicate glass to the light to watch the colors play across the surface, sipping with concentration, noting the flavors as they bend and dance, all the while feeling the unique pleasure that all is right with the world that is the heart of a good Italian meal. The book Amaro is a wonderful guide to the digistivi of Italy. It compellingly describes the history and culture of amaro. 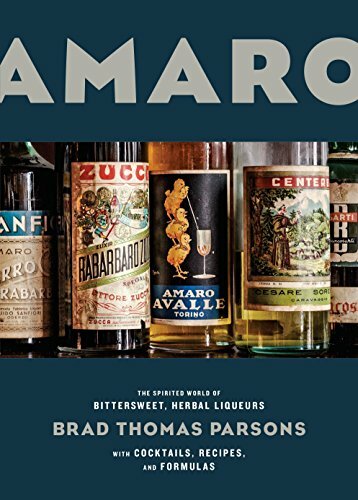 Plus there are recipes for historic and novel drinks centering on amaro, ideas for quick make-your-own versions, and desserts featuring amaro. 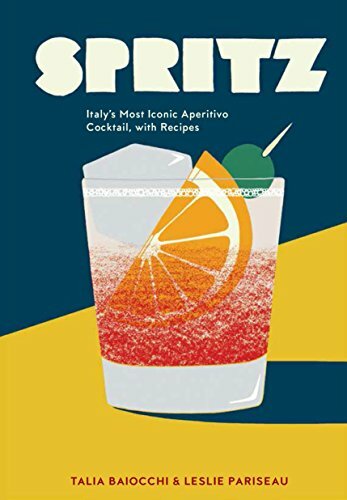 If your loved one tends to be more into pre-dinner as opposed to post-dinner libations, check out Spritz, a wonderful compendium of Italian cocktails with an iconic cover. People-watching at an Italy cafe is always elevated with a spritz in hand. A book to recall those beguiling moments is sure to be cherished. or make your own! There are books that walk you through this process (my favorite is Homemade liquors and Infused Spirits, and hey! Look! A gift for you!) or here is my favorite limoncello recipe. If you are reading this in November or even early December, you can have bottles of limoncello ready by the holidays. Art is as integral to Italy as wine. It is woven into the history and culture in profound and rich ways. Your favorite art aficionado might have already read Brunelleschi’s Dome, Ross King’s electrifying story of the politics and intrigue behind the building of Florence’s famed dome, since it was written in 2000. 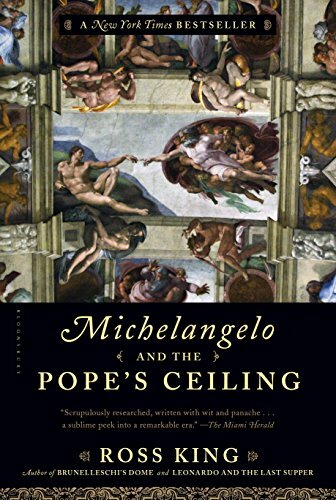 He wrote a lesser known but just as thrilling book, Michelangelo and the Pope’s Ceiling, about the painting of the Vatican. Ross King is a great writer to support as he regularly fundraises for the preservation of the arts, especially for Florence’s artistic and architectural treasures. If your artist friend prefers fiction, then I recommend Oil and Marble: A Novel of Leonardo and Michelangelo. The books spins the story of the rivalry between these two Renaissance geniuses. Highly recommend. encourage art appreciation and support your friend’s own art inclination by adding a blank book and pencils for sketching. Siena adores sketching in museums, I suspect she’s not alone. speaking of Siena, she’s put together an Italian music playlist that she listened to while she was exploring Arezzo during her two weeks of living there and creating frescos and taking Italian lessons. Music and art go together like chocolate and hazelnuts, feel free to pass along the playlist or burn a CD. With or without a jar of Nutella. Those who love Italy and don’t have a plane ticket in hand need a ready way to connect with their spiritual home. And those that have already cleared out a spot in their suitcase for a bottle of olive oil will enjoy reading material that digs them into their destination. 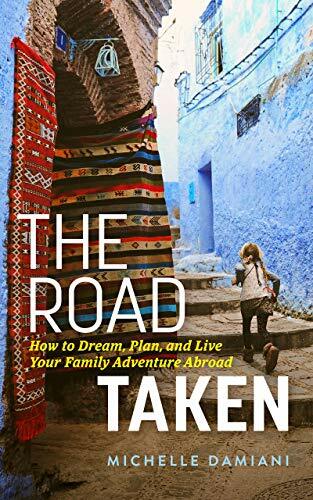 I revel in reading books that take place where I’m headed (TripFiction is a great website to find books set in specific destinations). The book and environment becomes surround sound, filling me with la dolce vita. Both fiction and non-fiction fit the bill for the immersive Italian experience. 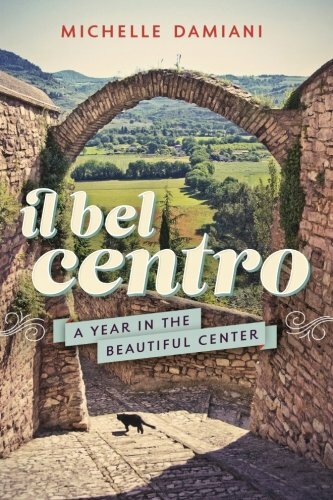 Parents (or travelers to central Italy) might enjoy Il Bel Centro: A Year in the Beautiful Center, the story of an American family finding a home in an Umbrian hill town. Readers consistently mention that reading this memoir transports them to the rosemary-scented cobblestone alleys of Italy. 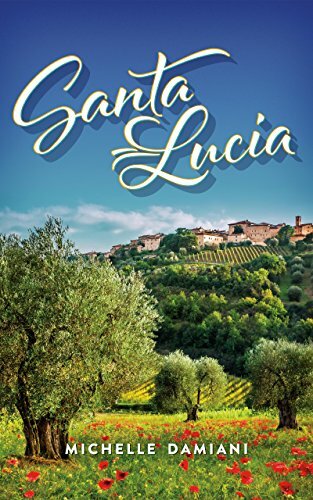 Those looking for a bit of magic might prefer a novel like Santa Lucia, which weaves together the lives of villagers in (what seems) a storybook village. Both books are by the same author, so readers of Il Bel Centro can delight in discovering familiar “characters” in Santa Lucia. Plus, the covers are beautiful together. Okay, yes, both books are written by me, but I promise—they really are good. 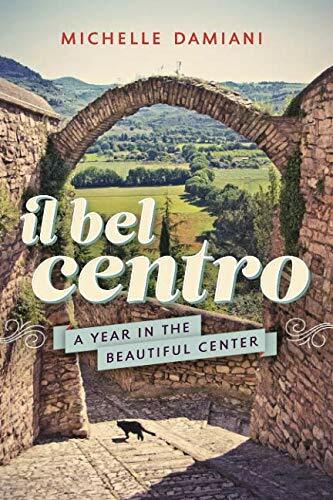 Il Bel Centro has over 200 five-star reviews and Santa Lucia recently received an incredible honor that I’m forbidden from sharing publicly until December, but I can’t wait to tell you about! Vintage books make wonderful gifts, and both The Enchanted April and A Room with a View will give readers a sense of old Italy (or at least the British perspective on Italy), before the throngs of travelers with Fodor’s under their arms started clogging up the Trevi fountain. Looking for something newer? How about The House at the Edge of Night? The rich saga will provide hours of full-immersion into Italian life. Romance lovers will love That Month in Tuscany for its story of falling in love amid the hills of (wait for it) Tuscany. I love that mysteries in Italy are called gialli, for their yellow covers, so I particularly wanted to include some. 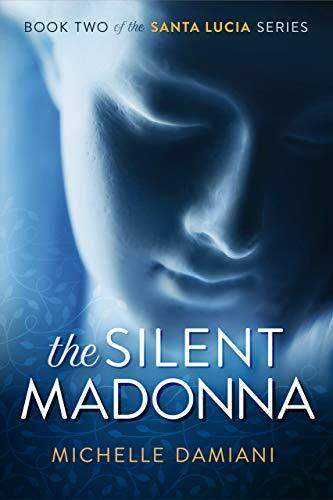 Donna Leone is a hugely popular writer of mysteries set in Italy, but another, and less common in the US than the UK (so therefore less likely to be on your American loved one’s shelf) is Michael Dibdin’s Aurelio Zen series. 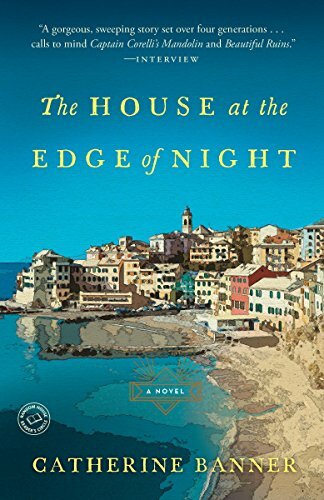 Suspense-filled, I like how the books take place all over Italy (Venice, Bologna, Perugia, just to name a few) and often delve into Italian history. combine with fun travel goodies like pop-up maps of a destination city (far more fun and practical—and how many things are both?—than the old fold-up maps). Purse hooks rest on a café table, allowing travelers to hang their bags, rather than trying to drape them over seats that are always too round-backed for the purpose. Perfect for a spritz in a traveler’s new favorite piazza. 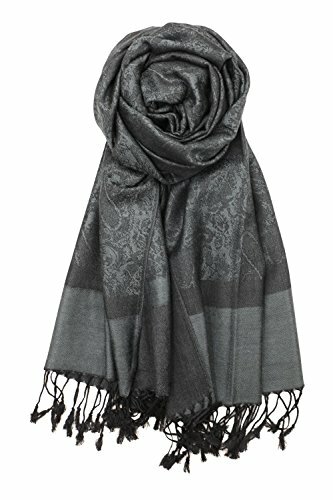 Your favorite donna would love her book wrapped in a travel shawl (or pashmina). Dreamy when Italian air turns crisp, and can double as a shoulder or knee covering for an impromptu visit to that wedding cake-like cathedral. Plus, travel shawls provide ground covering for a picnic of hand-carved prosciutto and fresh pecorino, and can be folded up to make an instant pillow for a post-prandial nap. I always have one tucked into my purse, and love new ones to spice up my selection. You can get it in lightweight cotton or heavier weight fabric like this cashmere blend (more affordable than it sounds). I love history, but my list of history-themed books are more in the realm of historical fiction because historical fiction is my jam. I like getting a feel for history through a dramatic tale. 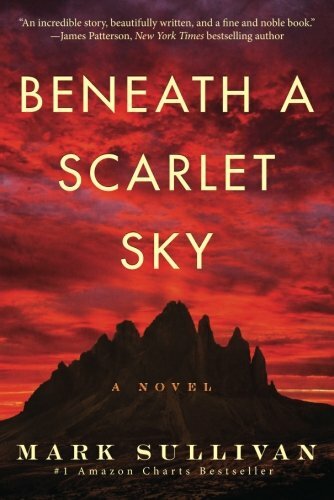 As such, I heartily recommend Beneath a Scarlet Sky, the bestselling story of an Italian teenager forced to join the German army during World War Two. The Tuscan Child is another WW2 page-turner, this one from the perspective of a daughter traveling to Italy to gain understanding into her father’s past. Fans of stories of the immigrant experience (or who have family who immigrated via Ellis Island) will enjoy Elizabeth Street, which chronicles the story of a family moving to New York from southern Italy at the start of the 20th century. For Italophiles whose interest in history is rooted in the ancient world, consider A Pillar of Iron: A Novel of Ancient Rome. or Pompeii. Another fun option is The First Man in Rome. It’s the first in a highly-lauded series, which has the added joy of more reading ahead! Of course, some people’s fascination with history leads to actual history, not the literary version embellished with drama and imagination. I haven’t read many of those, but I do know that people love Ancient Rome: The Rise and Fall of an Empire. 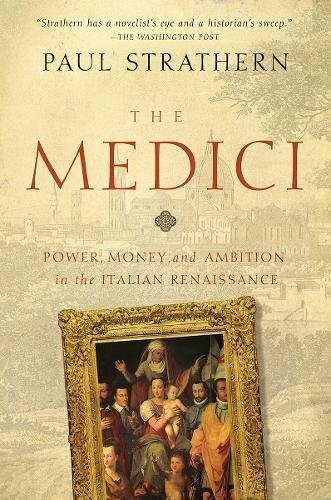 Those looking for a more modern tale of drama and intrigue (or have simply loved watching the Medici series on Netflix) will enjoy The Medici: Power, Money, and Ambition in the Italian Renaissance. That one is actually on my list, as a visit to Tuscany this year left me longing to understand the threads the Medici family braided into the fabric of Italy. This would be a great time to explore Etsy offerings. Just type “Italy vintage” in the search bar and you’ll find gifts sure to thrill the historically minded, like map necklaces and mosaic earrings and rings in the shape of the coliseum. It’s wonderful to introduce children and families to Italy through books. Particularly when those books shed light on irresistible Italian traditions. For example, have you heard of La Befana, the Italian Christmas witch? Here is background on what may be the most oddball of Christmas icons. 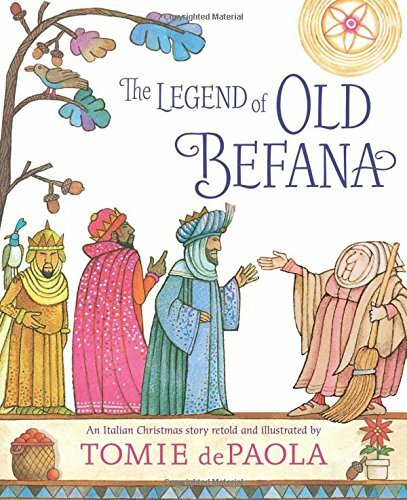 She is a treasured part of our holiday festivities now, and so we adore this Tomie de Paola book, The Legend of Old Befana: An Italian Christmas Story. There are other options of course, like Pizza for the Queen, a whimsically illustrated book that tells the tale of a pizza maker in Italy tasked with making pizza for royalty. Families who have an affinity for Rome or Venice would no doubt enjoy This is Rome or This is Venice, classic books that chart the history of these storied cities with charming illustrations. Games are a great addition to a family gift. 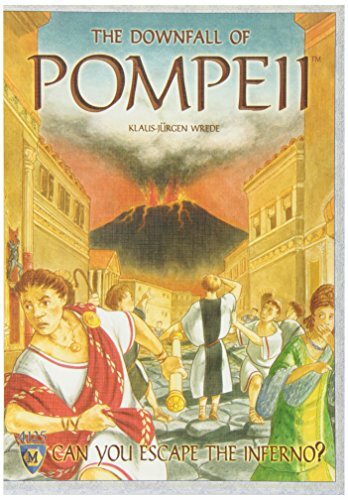 We love The Downfall of Pompeii and Rise of Augustus for their layered, strategy-based play. We don’t usually enjoy Monopoly-type games, but those that do love Italyopoly. If a family you know has a trip in their future, they might appreciate a game they can take with them like Bang! which has an American West theme but since it was created in Italy, the card descriptions are also in Italian, which is fun. Scopa is another winner, a two person game made of a deck of cards, perfect for shoving in a pocket and playing alongside old men at the local cafe. One aspect of Italy I wanted to include was coffee and bar culture, but while I could come up with ideas to make such a book spectacular (a pound of coffee from a famous Italian bar like Sant’Eustachio, perhaps, or a moka), I couldn’t find a worthy book! If you have one, let me know? Or if you have any other great gift ideas leave them in the comments and I may include them in the 2019 Gift Guide!